Color. 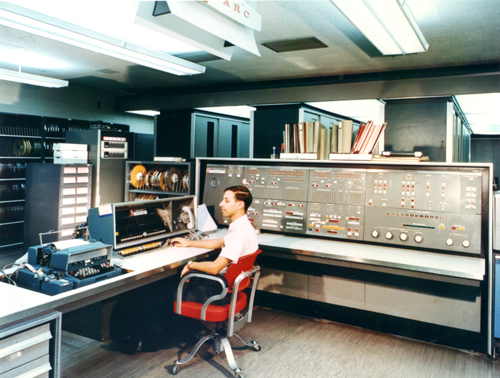 UNIVAC's LARC, ca. 1960s. Man sitting at computer.